A look at the film, Ride with Larry, a touching documentary about a man who has battled Parkinson’s disease for 20 years with strength and resolve. 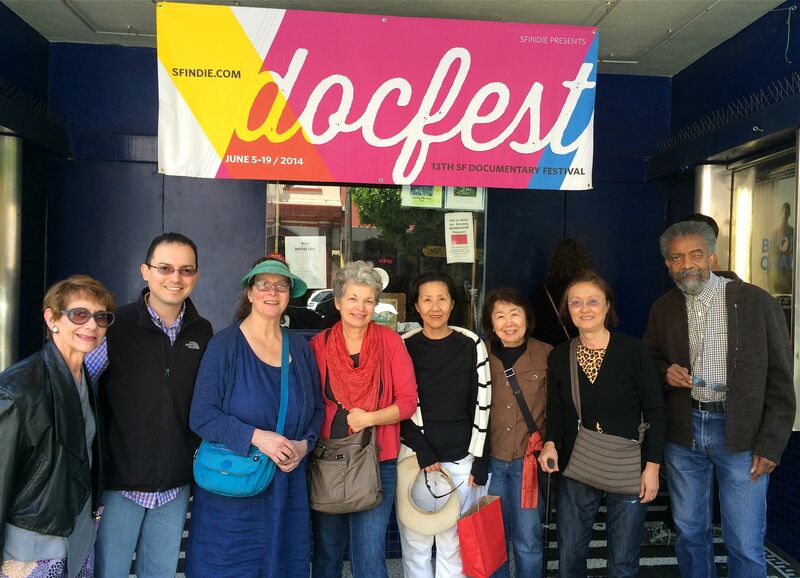 Ride with Larry co-director Ricardo Villarreal (second from left) with film fans at the Docfest film showing at the Roxy Theater in San Francisco. June 7, 2014 | by Darcy Blake | The documentary Ride with Larry will put a lump in your throat, and you will shed a few tears along the way, but your emotions will soar and you’ll come away determined to give your very best effort to living, whether you have Parkinson’s Disease or not. Several of the audience comments suggested it was a love story. It is also a story about the strength, and resolve of the human spirit in answer to a life-altering illness. It is a story about the value of community, and hope. It is all these things and more. When the film touches on depression, a natural consequence of Parkinson’s Disease, due to the underlying changes in brain chemistry and circuitry that are caused by the disease itself, Larry worries that he is “not interesting anymore.” Yet, perhaps because of his severe communication difficulties due to involuntary muscle movements (dyskinesia), his self-expression is distilled to a haiku-like eloquence, a poetic clarity. The film takes on many weighty contemporary issues, such as forced exercise as medicine, and medical marijuana. We watch the effects of medical marijuana—not allowed in many states—transform Larry from a contorted, writhing state of discomfort to a man with newfound peace in three minutes of amazing video. The film directors, Ricardo Villarreal and Andrew Rubin have created a touching film that affirms movement is life, and that Larry’s life has moved us all.